Breaking the Apocalypse Code DVD package is now available!! A complete, advanced prophetic Bible Study album of 7 DVDs and 100 page study syllabus that clearly explains the 22 chapters of the Apocalypse, Totaling 14 hours of eye-opening, exciting prophetic insight. This package is also advertised on Manna-Fest as AC-95. Eighth Kingdom-Is the Anti-Christ Alive Manna-Fest package brings to light the final empire and future world dictator prophecies are coming to pass as predicted in Bible prophecy! 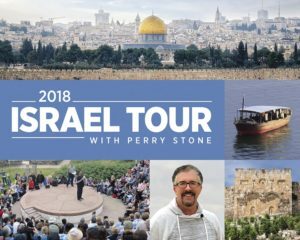 The 1st Manna-Fest offer for 2018 is acclaimed as Perry’s most helpful teaching in 41 years of ministry! Spiritual warfare has risen to a whole new level! This Manna-Fest offer provides answers and explanations to equip and strengthen your defenses! The 2017 Prophetic Summit messages have just been released on audio CD! 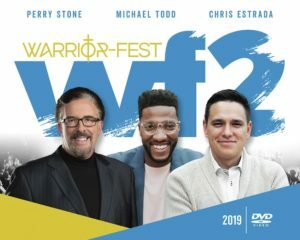 Get the latest prophetic word from the ministry as shared by Jonathan Cahn, Joel Richardson, Bill Cloud, Dwain Miller and Perry Stone! 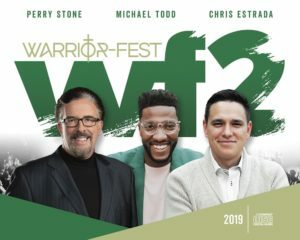 Get the latest prophetic word from the ministry as shared by Jonathon Cahn, Joel Richardson, Bill Cloud, Dwain Miller and Perry Stone! Perry’s newest landmark book for 2017 – The Revelation Generation is the guiding light from a major prophetic conference that triggered an interesting debate on harbingers pointing to the Lords’ return. This new book along with 2 new prophetic CD messages by Perry will be released on Manna-Fest in May but is available NOW! What is this supernatural “language of God” spoken even by the High Priest on the Day of Atonement? What is your spirit praying when your prayer language is invoked? Find out and understand more in Perry's Holy Spirit – Prayer Language package!